A comprehensive GUIDE to understanding your or your loved one’s addiction to methylphenidate and finding the best treatment program options. Has methlyphenidate stopped making you smarter, better, slimmer? If you want to quit methylphenidate, but always end up using it again…it’s time to get help. More here on what to expect during treatment for possible addiction. We’ll review how addiction is assessed and how you can know if you have a problem in the first place. In this article, we also take a look at the BEST PRACTICES in the medical treatment of addiction. Finally, we help guide you into a program that is right for you. Your questions are welcomed in the comments section at the end! Explore your treatment options & quit methylphenidate FOR GOOD! When do people get addicted? As a weight loss pill. To stay awake and improve alertness. To improve physical and/or mental performance. Methylphenidate is also often referred to as a “smart drug”. It abused for its reputation of improving school performance. NOTE THIS: When users take methylphenidate in ways other than prescribed, they can experience a “high” that is not felt when the drug is taken as indicated. It is this euphoric feeling that keeps some people coming back for more. If you feel that your methylphenidate use is starting to control your life – DON’T LET IT. Contact us today and let us get you on the right track. Methylphenidate is definitely addictive. In fact, the Controlled Susbstances Act classifies methylphenidate (brand name Ritalin) as a Schedule II drug, meaning it has a high potential for abuse which may lead to severe psychological or physical dependence. Your close friends and family complain that you are aggressive, moody, irritable, argumentative, and hard to get along with due to methylphenidate use. You feel unable to meet deadlines and keep up with your peers at work/school without using methylphenidate. Your appetite is reduced and you experience weight loss. You experience troubles falling asleep because of methylphenidate use. You try to cut back or quit methylphenidate but never succeed. You believe that you learn quicker and more efficiently with the drug. You believe you work better and more productively only when taking methylphenidate. You like yourself better and the drug makes you feel more powerful, social, talkative, self-confident, and less depressed. You develop symptoms of withdrawal such as depression or fatigue when you try to quit. If you recognize some of these signs of addiction in yourself, why wait? Ask for help today. From anyone. A friend. A family member. Your partner. If you feel like your life has been thrown off course due to methylphenidate addiction, take hope! Recovery can get you back on track. Call our helpline for a free and confidential assessment of your addiction and available treatment info. You may believe that methylphenidate is helping you feel better, deal with problems in life, and achieve your goals…but in reality it’s not. In fact, methylphenidate addiction slowly takes away your focus from other enjoyable things and directs it towards obsessive drug seeking and using. Denying that you have a problem does not mean that it will magically get resolved. You need to accept that your methylphenidate use has taken an unexpected course. Then, you can explore the numerous addiction treatment resources that can help you break free from methylphenidate addiction. Call today to find out how to eliminate methylphenidate addiction from your life for good. Treatment helps you learn how to kick the habit for good. Addiction is a medical condition And it is effectively treated medically. Q: How can you safely quit methylphenidate? A: You need medical supervision during the process. Fear of Withdrawal: What’s Detox Like? Many attempt to stop methylphenidate and experience these harsh and unpleasant effects, and immediately go back to abusing the drug due to the intense discomfort. Experiencing these symptoms can make you feel afraid and discourage you from ever quitting or attempting to cut back doses again. The best alternative – especially if you have experienced severe withdrawal in the past – is to check yourself into a professional detoxification facility. Detox programs involve short-term (1-2 weeks) inpatient treatment during which specially trained professionals monitor your withdrawal closely and administer medications to make the process as comfortable as possible. One advantage of medical detox is that you will be away from your usual triggers and therefore be less likely to use methylphenidate to stop the symptoms when they begin. Don’t let the fear of methylphenidate withdrawal ruin your life. Call us NOW to find out how to get into detox today. 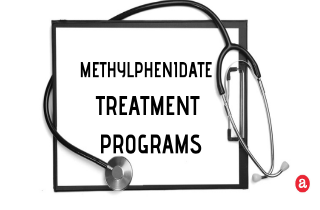 When your methylphenidate addiction is associated with, aggravating, or causing mental health problems, then it is a part of a dual diagnosis and an appropriate treatment program is required. Call us today. Helpline specialists await to assist you in finding the best dual diagnosis recovery center right for you. Medication – When you check into a dual-diagnosis recovery center, the doctor will often use medication along with another type of treatment such as therapy. Dialectic Behavioral Therapy – This type of therapy has the goal of reducing self-harming behaviors that often accompany mental health conditions and substance use disorders. Integrated Group Therapy – Treats the symptoms of both substance use disorders and mental health illnesses all at once. Cognitive Behavioral Therapy (CBT) – It works to minimize problematic beliefs and behaviors and develop healthier thinking and behavioral patterns to sustain sobriety. Individual Psychotherapy – This type of therapy treats behaviors related to substance abuse and/or particular behavioral or mental health problems. Inpatient (residential) treatment is often recommended for individuals with high amounts of stressors and triggers in their environment, who have low or no recovery support, or who have a history of chronic substance abuse and have previous unsuccessful treatment attempts. Outpatient treatment centers can work for those who are unable to stop working or attending school. Although these programs may provide the level of flexibility that you need, their effectiveness can be limited, especially if you require intensive medical and psychological recovery services. The required minimum time spent in rehab is 30 days. However, 60 and 90 day programs offer significantly higher success rates as they allow more time for physical and psychological stabilization, therapy, and education. Again, this time period is based on inpatient rehab. Outpatient programs average 10-16 weeks in intensive duration, and then 1 year or more of follow up weekly work. All good treatment for addiction should make use of a combination of psychotherapy and medication. Apart from these basic modalities, other options may be available. Addiction programs usually offer a combination of 12-step philosophies, evidence-based therapy protocols, and alternative holistic options that when applied together can maximize your chances of successful recovery and long-lasting sobriety. The vast majority of people addicted to methylphenidate have underlying psychiatric problems that need to be addressed as issues separate from the substance use problem. These issues can be addressed in psychotherapy, in which professional counselors can help the client learn to relax and set realistic goals. Although every recovery journey is different, there are a few basic steps that every reputable addiction treatment program should follow to help you make a safe, steady, and gradual transition from addiction to recovery. STEP #1: EVALUATION AND ASSESSMENT – This process happens at intake and includes an interview, physical and psychological examinations, and possibly a drug test. All this data is collected so the clinic staff can put together an effective and personal treatment plan. STEP #2: DETOX – The initial focus of treatment will be to stabilize your acute and immediate medical and psychiatric condition. This means that medical detox is super important. Having a 24/7 medical supervision helps ensure your safety and sets you up for ongoing, successful treatment. Medical detox can help you manage the symptoms of acute withdrawal from methylphenidate in a controlled environment to improve comfort, minimize any risks, and improve future prognosis. STEP #3: THERAPY – In addition to providing a safe and drug-free environment recover, rehabs should provide psychotherapy and behavioral therapies. These helps to uncover and resolve the root causes of your addiction. During therapy, you’ll be encouraged to adapt new behaviors that don’t involve methylphenidate use. STEP #4: AFTERCARE – Treatment facilities often continue their help even after you leave their facilities. Aftercare and relapse prevention are a crucial step of the recovery process and can increase your chances of rehab success. (We cover more about Aftercare and Relapse Prevention below). Now that you know what methylphenidate addiction treatment generally entails, you are better prepared for what you can expect. Still have questions? Our hotline at 1-877-505-7214 is a free and confidential line where you talk to a trained counselor and find a methylphenidate treatment facility that suits your needs. What happens when you call a hotline? Hundreds of people just like you get in touch and seek treatment help every day. So, get back on your feet and learn how to stop using methylphenidate. Take back your future by calling us today. We understand addiction. Compassion guaranteed. Call us. Luxury and executive rehab centers offer amenities far beyond what can be found in standard treatment centers. While these amenities do come with a higher price, many individuals find that these extra comforts allow them a recovery process that creates a minimal impact on their professional and personal lives. Business amenities. Luxury and executive treatment centers usually feature workspaces, meeting rooms, and access to Internet and phones. These features allow you to continue to operate your business while working through the treatment program. Confidentiality. Confidentiality is a top priority s. The only people who will know about your treatment are you, your family, your doctors and anyone else that YOU choose to share your experience with. Fewer patients. A lower staff-to-patient ratio offers the most personalized care. Your doctors will help you find what works for you, rather than running you through a standard treatment protocol. High-end services. Executive and luxury programs tend to include spa treatments, yoga and meditation classes, private trainers, professional chefs, and larger, more private rooms. Does this sound like the type of treatment you are looking for? We are available at 1-877-505-7214, 24 hours a day, 7 days a week if you need help finding the best program for you. If you suspect that a loved one is abusing methylphenidate, you don’t have to wait for them to hit rock bottom to get help. Instead, it is important to seek professional help from a psychotherapist or treatment center. How long do you suspect they have been using? How long they’ve been showing signs of addiction? What other drugs or alcohol do you think they’re using? How do they abuse methylphenidate (orally, snorting, smoking, injecting)? How much can they afford to pay for treatment? Could you (and/or other close family members) help them out financially? Does the addicted individual suffer from co-occurring disorders? The first conscious step to recovery starts when the addicted individual actively wants to participate in treatment. Trying to convince or force someone to get help through persuasion won’t help…it almost never does. As an alternative, try to discuss the possibility or willingness for the person to discuss their stance regarding substance use with a professional counselor, a therapist, or a peer. You can also look into the CRAFT Model of family training. CRAFT teaches you how to strategize and get someone into treatment after weeks of preparation…rather than an abrupt “intervention”. Addressing pleasant memories of methylphenidate use. Preventing slips and preparing for triggers. Developing a lifestyle that’s recovery-oriented. Developing coping skills and stress-management skills. Reminders not to test the limits of your sobriety. Training in identifying warning signs of relapse and high-risk situations. These elements will help you stay ‘in check’ and prompt you to continue to work on your recovery, so you won’t slip back into destructive habits. If you are ready to find your way to recovery and start building a methylphenidate-free life today, don’t wait! Call for a 24/7 treatment and aftercare help.